Do you need that extra mental edge to unlock your true potential ? For example, there are few sports like Golf or Snooker that give people as much time to beat themselves up after making a mistake. I work to help golfers and snooker players to maintain a state of focus and to rapidly feel resourceful. 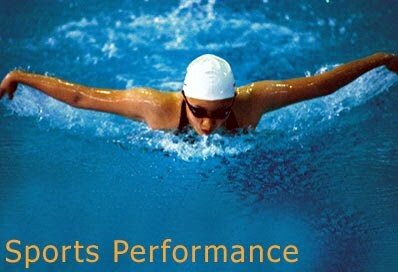 Most sportspeople have experienced times when they are 'on top of their game' or 'in the zone'. We are particularly interested in these states that have been described elsewhere as Flow States. It is almost as if time seems to slow down, and the person becomes more balanced and dextrous. In contact sports like Boxing, Karate, Judo, Kendo, Kung Fu etc you are more able to anticipate your opponent's moves, automatically coming up with appropriate offensive or defensive manoeuvres. In 'ball' games such as tennis, squash, badminton etc the same applies. By using Hypnosis together with NLP we literally teach people to be able to go into these 'flow states' at will, to consciously enter into states of peak performance. Many people are talented at their sport yet lack the motivation to train better to take them to the next level. Hypnosis and NLP have been shown to be very effective in getting someone to maintain a high level of motivation. Finally, there is the lack of confidence many feel when competing against others. This learnt program and pattern of behaviour can be unlearned and in its place you can learn to be more focused, relishing the challenge of competition.